Will the border-wall battle lead to a government shutdown? While lawmakers don’t agree on much, members of both parties are concerned a standoff over border wall funding could lead to a partial government shutdown when a spending deadline hits on Dec. 7. WASHINGTON — A debate is developing in Congress over how to handle the situation at the U.S.-Mexico border, and whether President Trump will get the billions of dollars he’s seeking for a border wall. 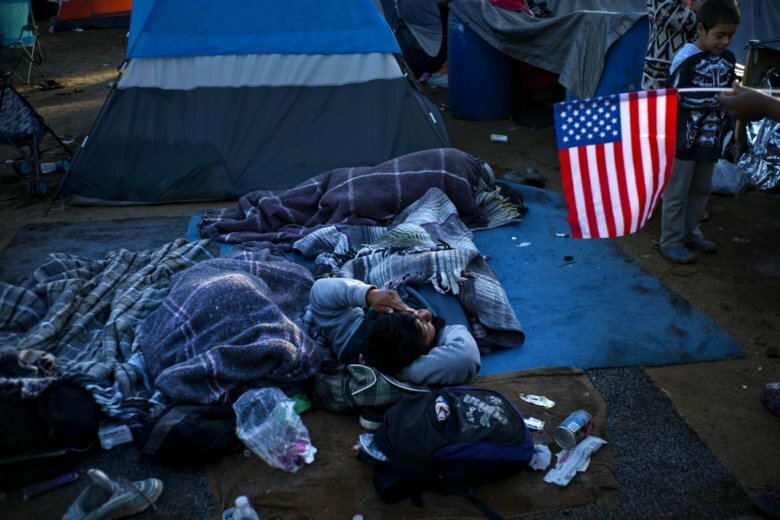 Some Democratic lawmakers have criticized the response to violence near Tijuana, which included the use of tear gas against young parents and their children as people rushed the border over the weekend. U.S. Customs and Border Protection said the tear gas was deployed because of a risk to agents’ safety. Sen. Ben Cardin, a Maryland Democrat on the Senate Foreign Relations Committee, said the situation at the border is a “humanitarian problem” that should be addressed in a better way. Several Republicans have defended the administration’s response to the situation and said it’s another example of why money is needed for the border wall. Reports showing caravan heading toward our southern border. People rushing entry points. It’s about time Congress show as much resolve to SECURE our border as the individuals seeking to tear it down. We have to fund the wall in December. It’s now or never. The House is backing $5 billion for the wall, while a Senate plan calls for $1.6 billion. President Trump has said he needs at least $5 billion and that he’d be willing to shut down the government if lawmakers don’t provide more money. Cardin said building a wall would be a “waste of money” and that border security could be improved in other ways, along with immigration reform.